With Virgin Australia’s upgrade of its Embraer 190 business class now underway, Australian Business Traveller took a quick flight on the airline’s Sydney-Canberra Capital Connect service to see how the new seats and updated service stack up. The E190’s aren’t restricted to this super short hop, of course – you’ll also spy them on the Sydney-Melbourne and Sydney-Brisbane routes. 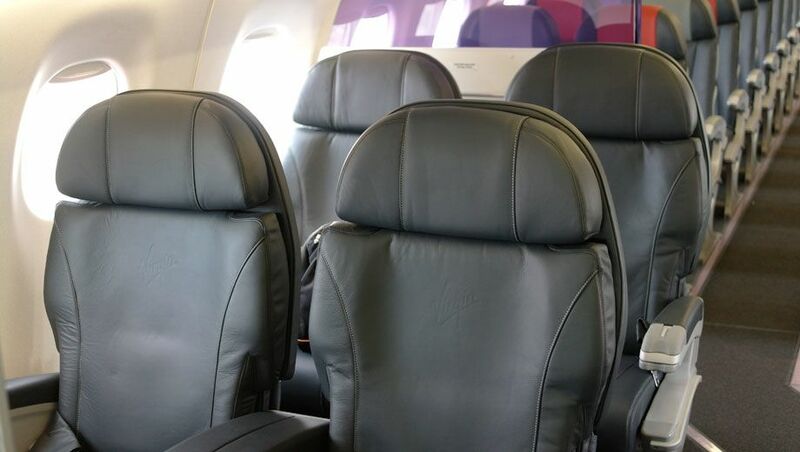 Virgin Australia tells us that the new seats will be fitted across its Embraer 190 fleet by the end of March 2013. 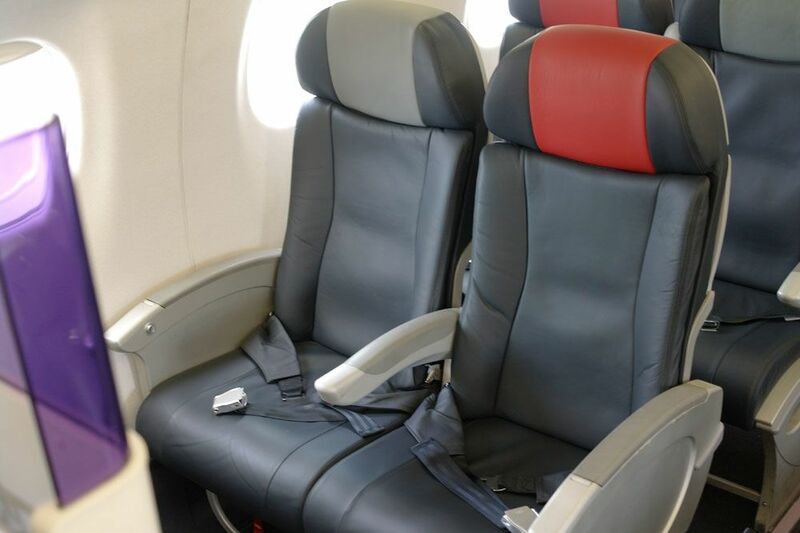 The pointy end of the original E190 was closer to the airline’s now defunct premium economy product: two rows of a standard economy seat with just a little extra legroom. The revised layout has a simplified seatmap with both rows whittled down to a 1-2 layout. 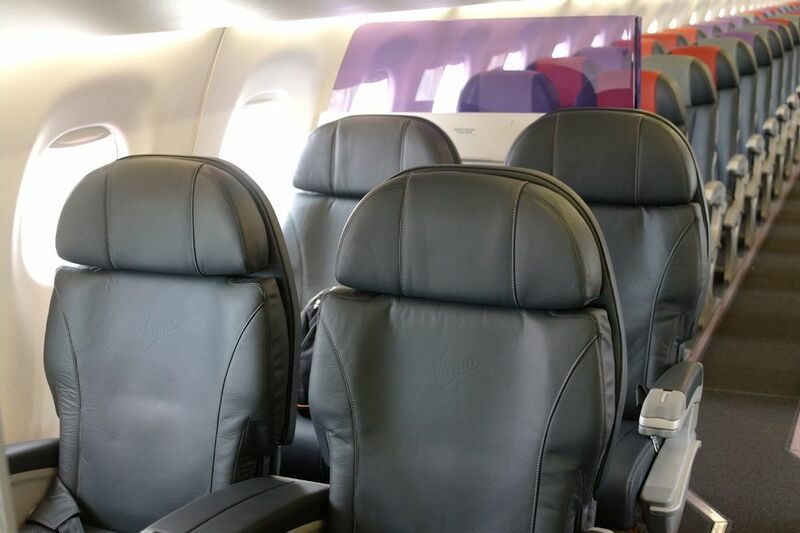 There's a single seat (1A or 2A) on the left, with two pairs (1D, 1F, 2D, 2F) across the aisle, for a total of six seats at the pointy end. 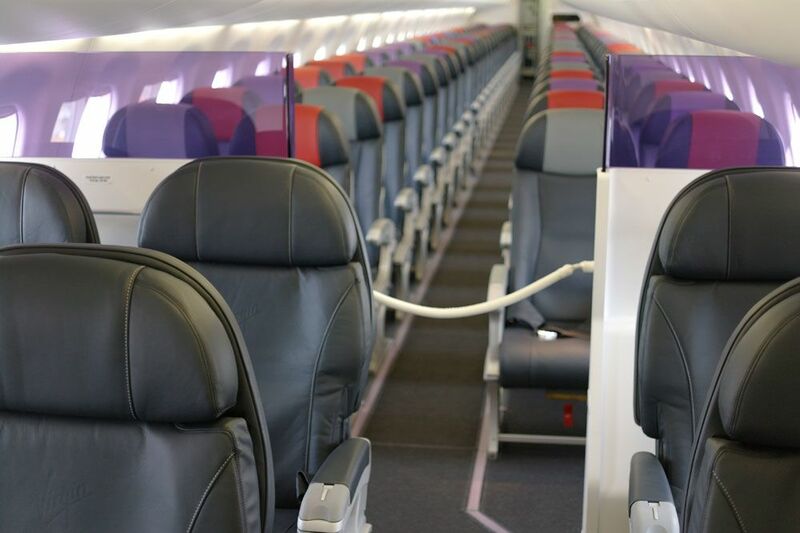 The aisle angles sharply back into a centre line running the length of the plane’s 2-2 economy section. 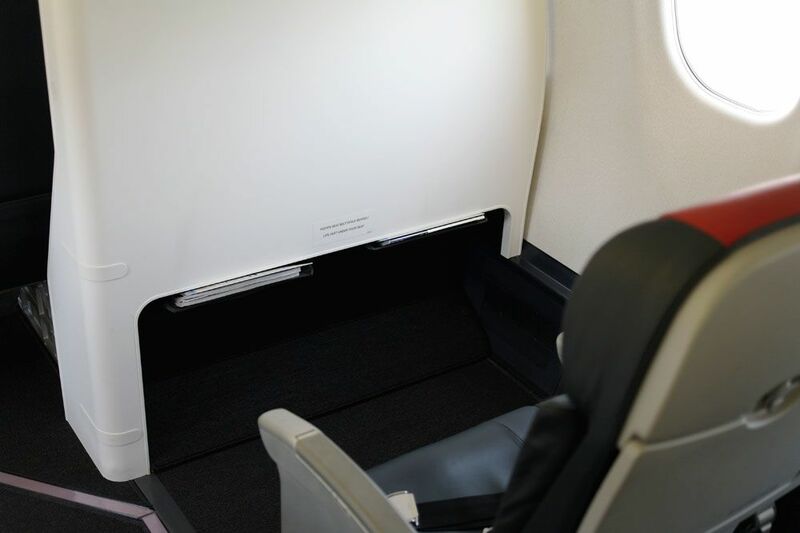 The E190 borrows some design touches from Virgin’s Boeing 737-800, including the perspex divider panel and ‘thou shalt not pass’ white snake to separate the business and economy cabins. The seats themselves are covered in leather, well padded and quite comfortable. 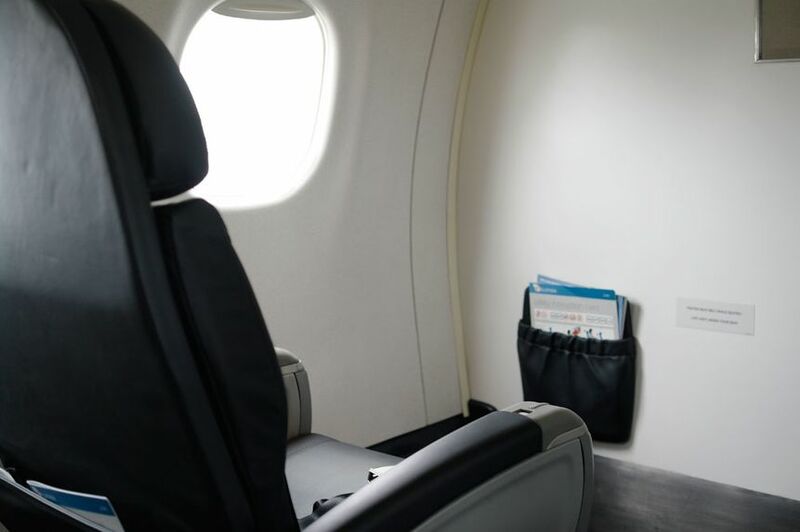 It almost seems live overkill on the Capital Connect service – a flight that’s barely a half-hour long and can be as little as 23 minutes in the air – but the politicians and public servants do enjoy their pampering. And when you catch the E190 on a Sydney-Melbourne or Sydney-Brisbane flight you’ll definitely appreciate the increased comfort factor. 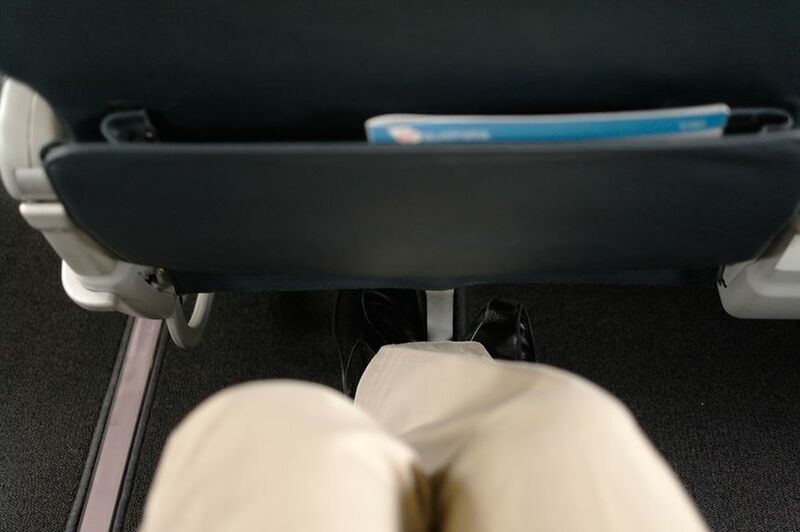 Virgin lists the seat pitch at 38 inches (96.5cm), which delivers ample legroom. 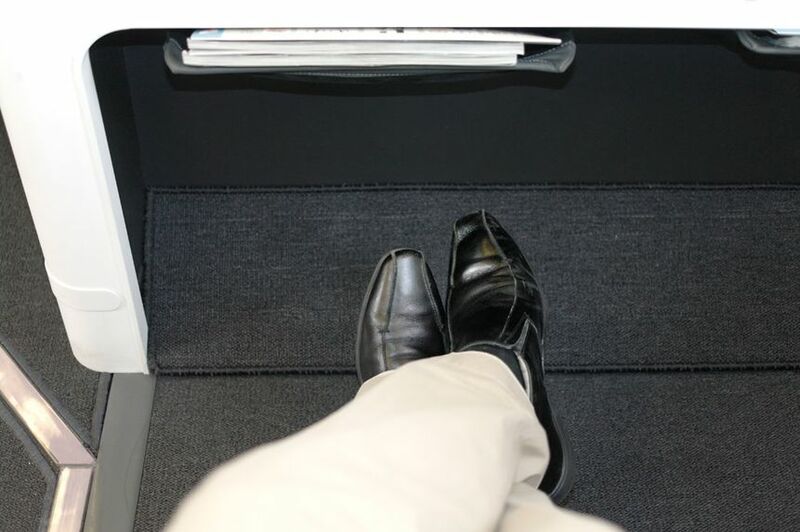 ... but without a seat in front, of course, under which you can tuck your feet. 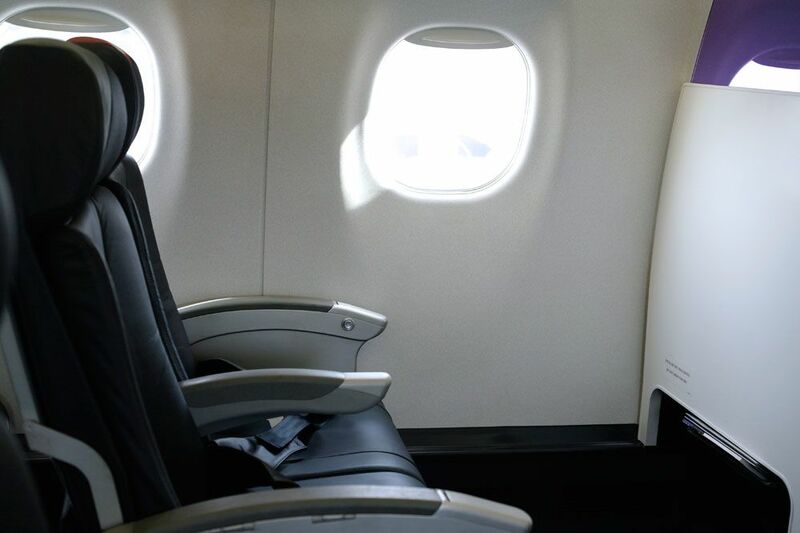 Many travellers will opt for row 2 or seat 1D, where the aisle affords a little more room to stretch your legs. 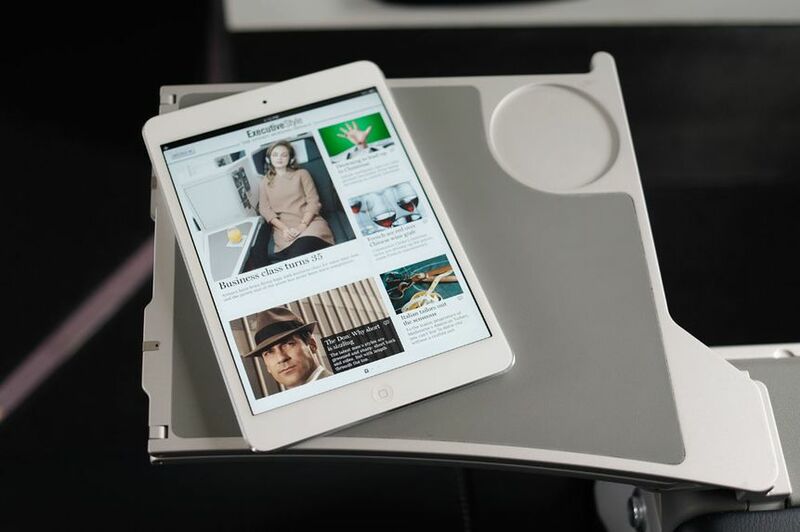 We measured the business class seats at 19 inches (48cm) wide, which is curiously the same as the economy seats – although in economy of course you need to allow for the armrest whereas in business class every centimetre of cushion space is yours. ... as does the seat pocket in row 2, so you can stow your laptop when your meal arrives. Even folded in half, there's still room for your in-flight cuppa while you catch up with reading on your mid-sized tablet or Kindle. We were pleased to see more variety than expected on this short Sydney-Canberra hop. ... and a more substantial salad of smoked trout with diced potato, horseradish and dill. Both were served alongside Serendipity ice cream. The return leg to Sydney saw this change to a beef bourguignon lattice pie or a dish of spiced roasted pumpkin, chickpeas, feta and baby spinach. 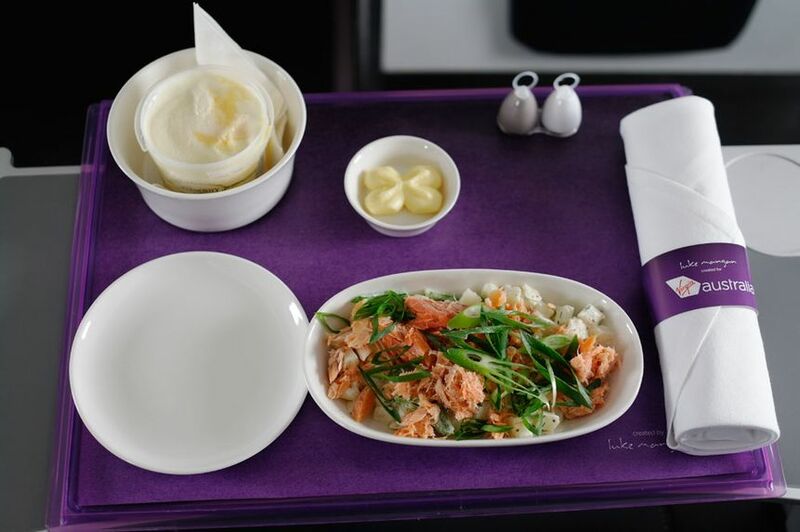 Virgin Australia earmarks the first row of economy on its 737-800s and E190s for top-tier Velocity frequent flyers, and on the E190 row 3 is definitely the place to be. 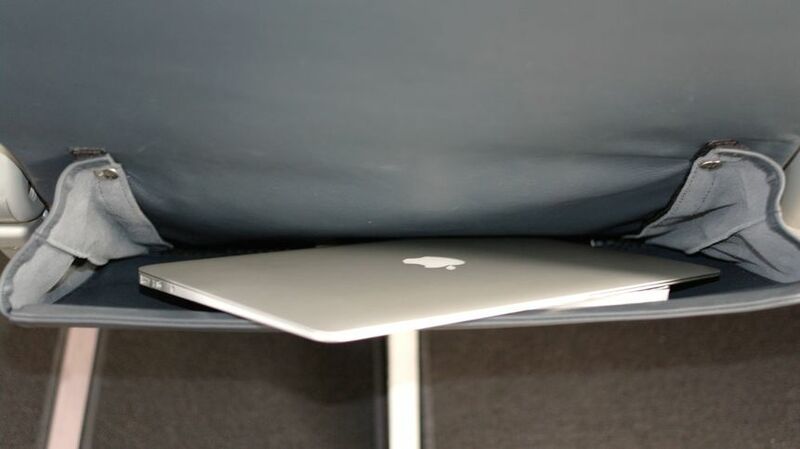 ... but also the cut-out at the bottom of that cabin divider. 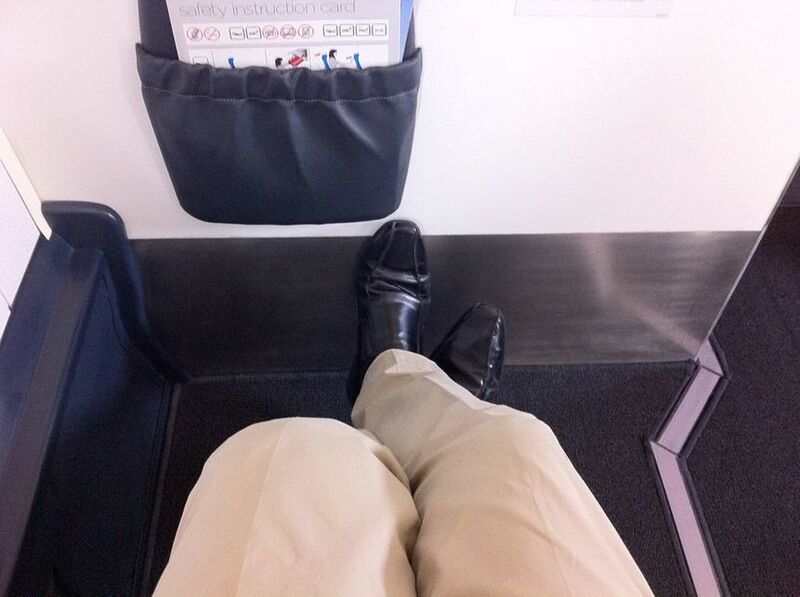 This shot's from seat 3D, and as you can see there's actually more usable legroom than seat 1A! 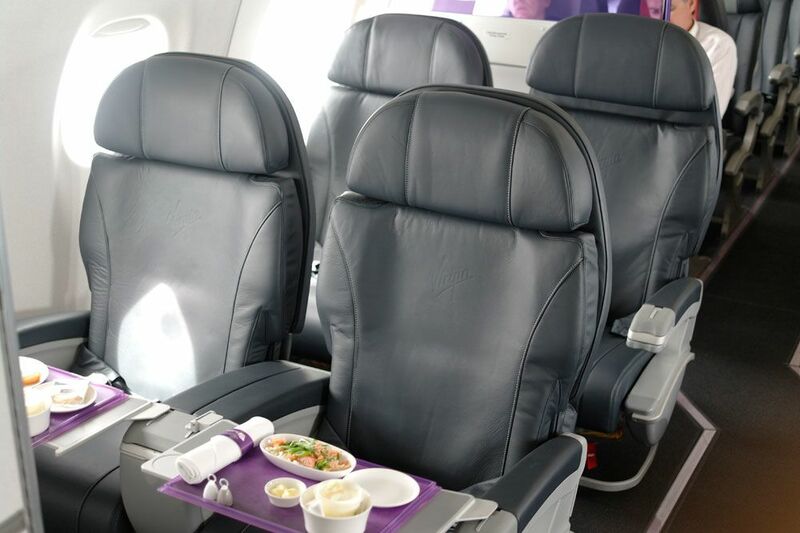 Have you flown in one of Virgin Australia's new E190s? Share your comments with other AusBT readers. Thanks for the great review! Have you asked about DJ's plans for mid-morning departures (CBR-SYD)? Also what about later flights ex-MEL? Hi edy4eva – until you hear an announcement from Virgin on either of those, take it as read that they're not happening. 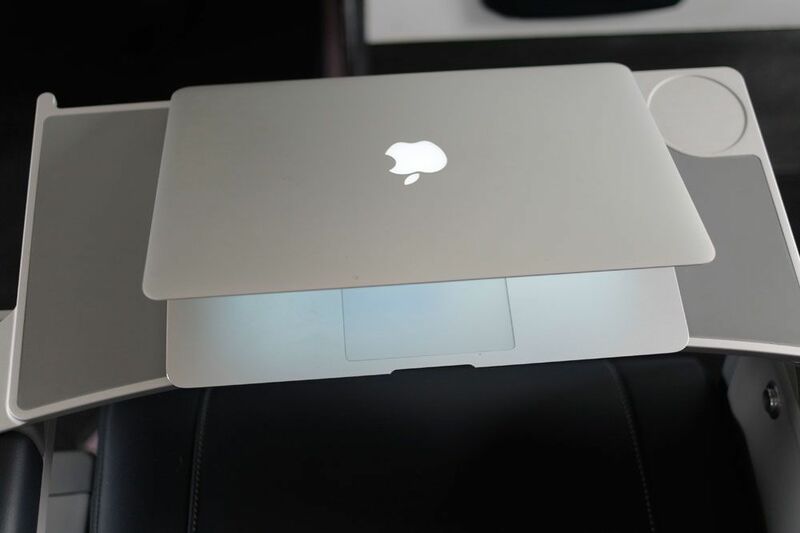 If they are happening, Virgin will announce it (and we'll have a report on it here). 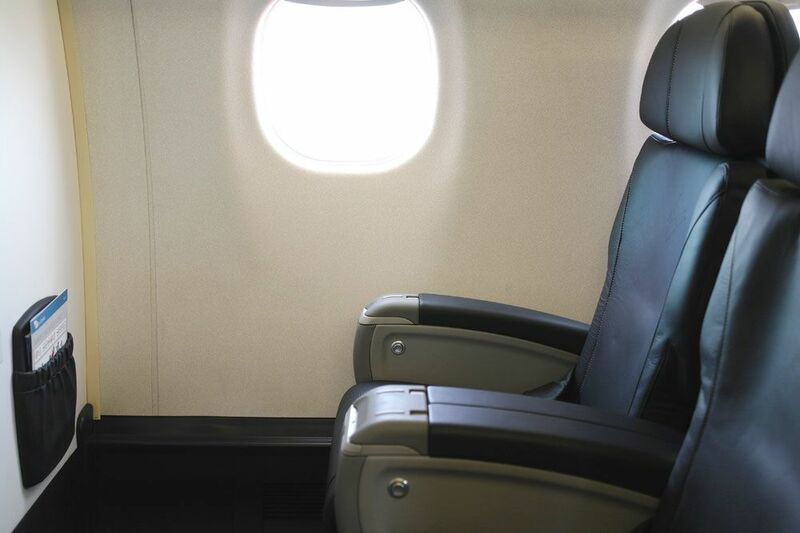 The seat pitch is 96 cm -- why not say so? It's absurd to be giving measurements in units that went out 35 years ago. It means I have to do the work of converting your inches to something useful. Next you'll be quoting luggage allowances in scruples and prices in groats. Daryl. Some things are just always meausred in imperial. seat pitch is one of them. get used to it. or carry a metric ruler with you and measure it yourself. its like car tyres. they are all in inches. cars have 16 or 19 inch wheels on them. David, dont include the metric measurement. 99% of the people know how it works. Hi iamwill - I reckon Daryl's made a good point, I'm an old inches guy but I appreciate that for many travellers an inch makes no sense, so fair call to ask for metrics when it's for such as 'personal scale' as seat width. Your article fails to mention that the E-190's are also a regular visitor to Adelaide where they fly to Perth, Canberra & Brisbance among other cities. I'm guessing that the ADL-PER sector is one of the longer routes flown by the E Jet in the country and as such even would be even more beneficial for an upgrade to Business class. Don't forget Sydney to Cairns, and they can be found on the Perth to Cocos/Christmas Island runs. That would be an interesting flight. Would you do a spot on economy in the E190s please. Last year I took a BA E190 from London City Airport to madrid barajas and it was the most comfortable economy I've experienced in a long while. I guess it depends on how greedy the airline is, but i wish Qantas would get a few instead of their quaint turboprops. I don't think you would find public servants in Business - the rules are pretty strict now and it's only likely to happen if they are travelling with the minister. FWIW some politicians travel in Economy too - I've spotted the Member for Kennedy in Y.
RG1: that's an interesting observation, although I was under the impression that the more senior public servants still fly buysiness class. David: The entitlement is Economy for all domestic travel under 3 hours. For domestic flights over 3 hours Senior Executive Service (SES) can fly Business, all other public servants are supposed to fly Economy. 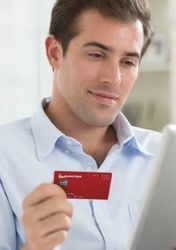 For international travel the entitlement is Business for all employees. I've taken quite a few E190 flights now and I don't might them at all. Melbourne to Sydney and Melbourne to Adelaide (I think it was) and a couple in Business Class. I don't know if it's just a perception, but I felt more comforatble on the E190 economy than on the 737. You do feel a bit more lateral movement on the E190 though. Sadly rather a moot article for flights to Canberra now as VA use the ATR72 on most flights. Its interesting that the E190 has the slowest schedule for SYD/CBR despite being the only jet. Its flights are scheduled as 60mins, the ATR72s as 55mins and the QF Dash 8s as 50mins. 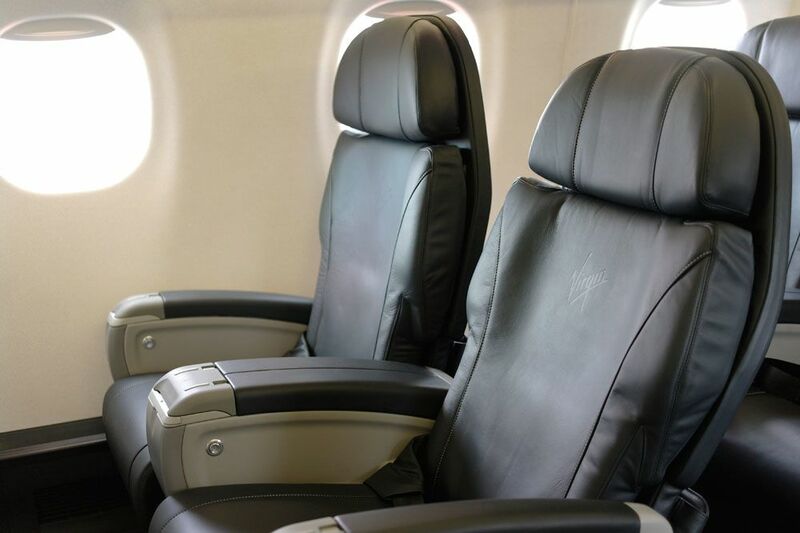 The VA website says that they do not sell the aisle seat in Business. 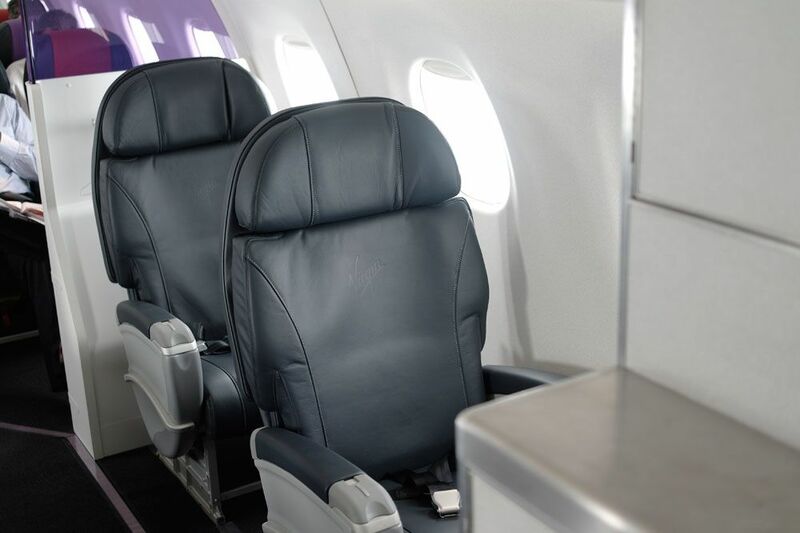 It says the aisle seat must be left free during takeoff although pax may opt to move into the aisle seat after takeoff, however it seems thats not true as my wife flew to Brisbane on the E190 the other day in Business and they filled all six seats with passengers. Can anyone explain me why VA is blocking rows 3-10 on the E90 or 3-12 on the 73H? Various rows are generally reserved for Silver, Gold and Platinum frequent flyers. 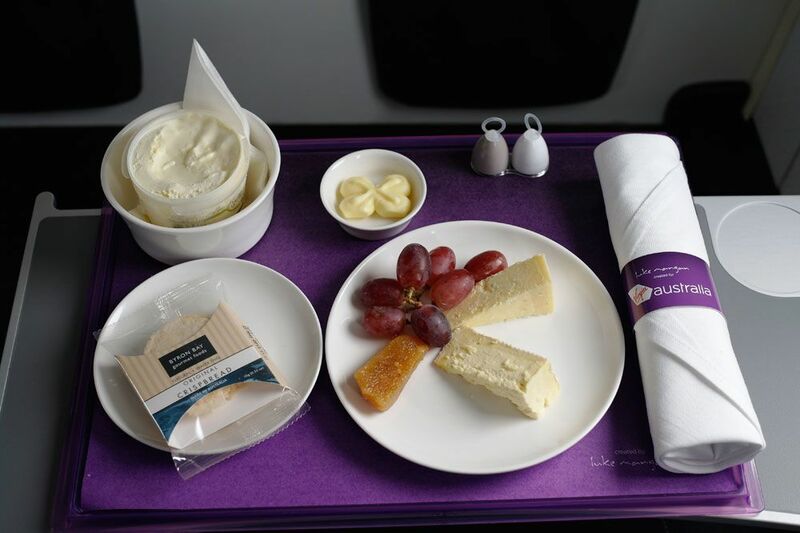 Comment on "Photos & review: Virgin Australia's new E190 business class"